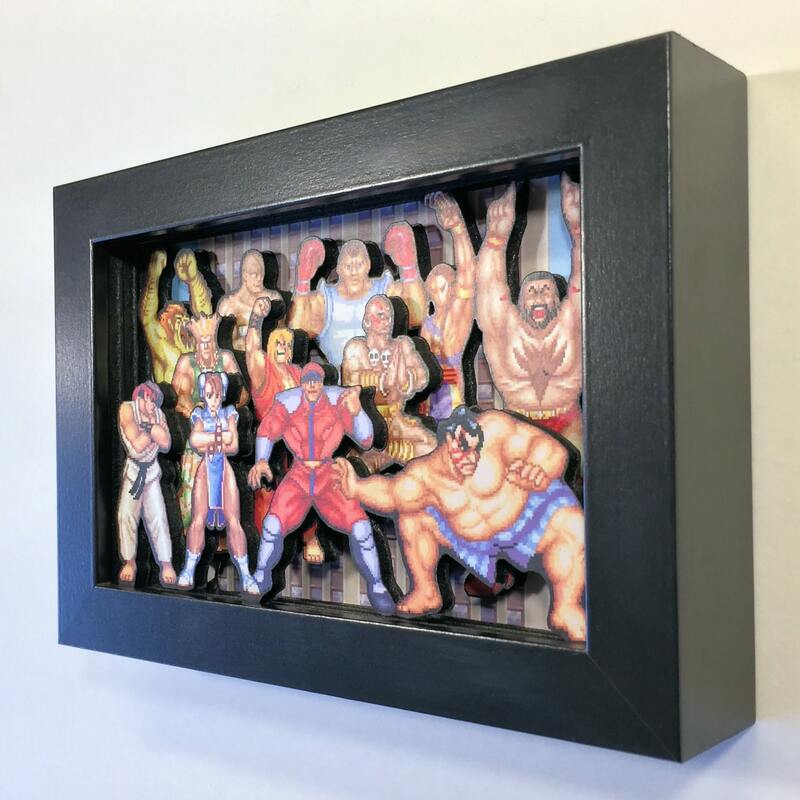 It’s a Street Fighter II: The Word Warrior 3D shadow box diorama, done in 16 bit style. It’s in a tiny 4" by 6" frame. -The frame is 5" x 7", and is included. It’s made from meticulously cut prints and foamboard, with a lick of acrylic paint here and there. There are multiple tiers for a deep 3D effect that really pops. It looks more “poppy” once you get it in your hands. The frame is 5" x 7", and is included. 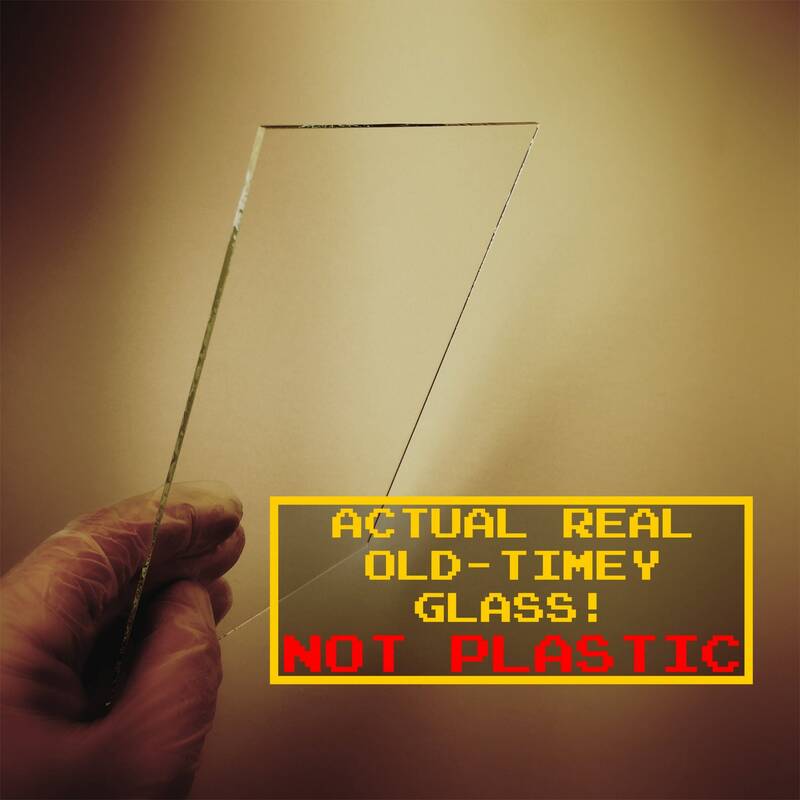 (The glass has been removed for the photos, but yours will have glass). Pictured are all of the characters in their victory poses. Relive the memories of repeatedly pummeling your younger brother. Reminisce about the thumb aches, thrown controllers, and abject frustration/triumphant victories (depending on birth order). PLEASE NOTE: This is smaller than you think! 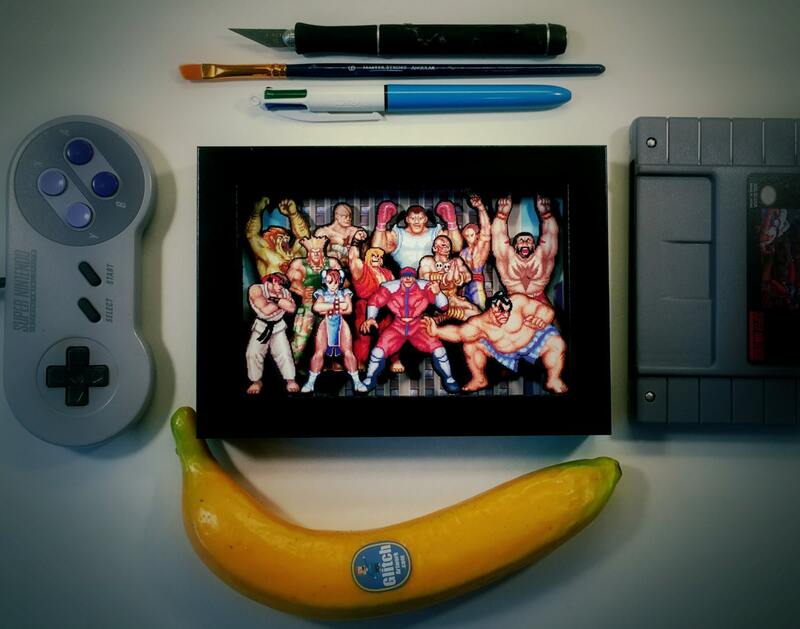 Please see the "banana for scale" photo. At first I was skeptical. Now, I'm a believer! This thing is great. This is awesome. Glad I came across it just in time for Christmas shopping. Looks amazing! Immediately ordered another one. Exactly like the picture, my friend loved it! 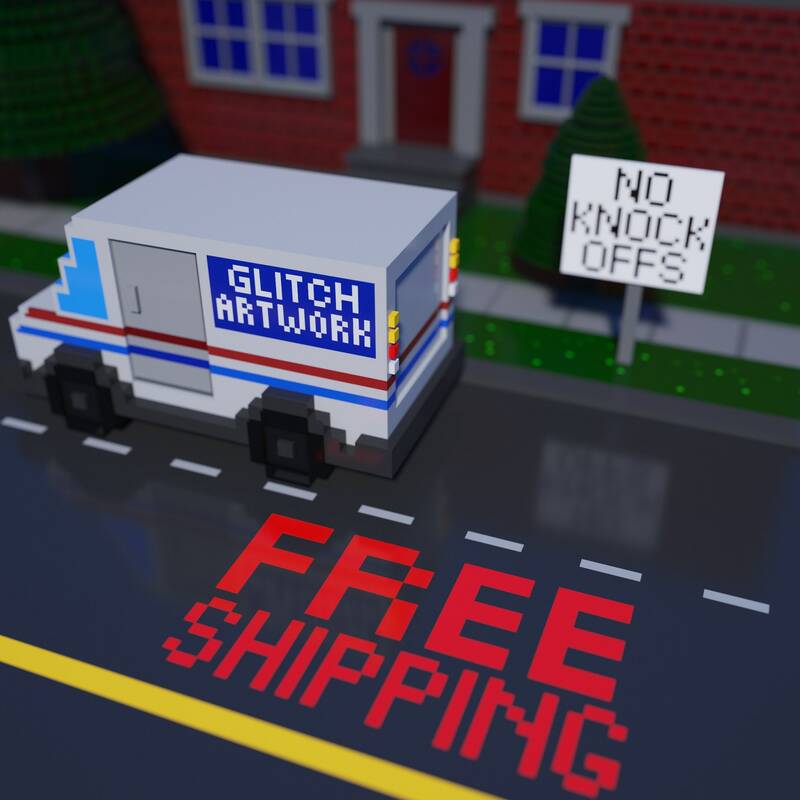 All payment methods that Etsy accepts are accepted by Glitch Artwork too! 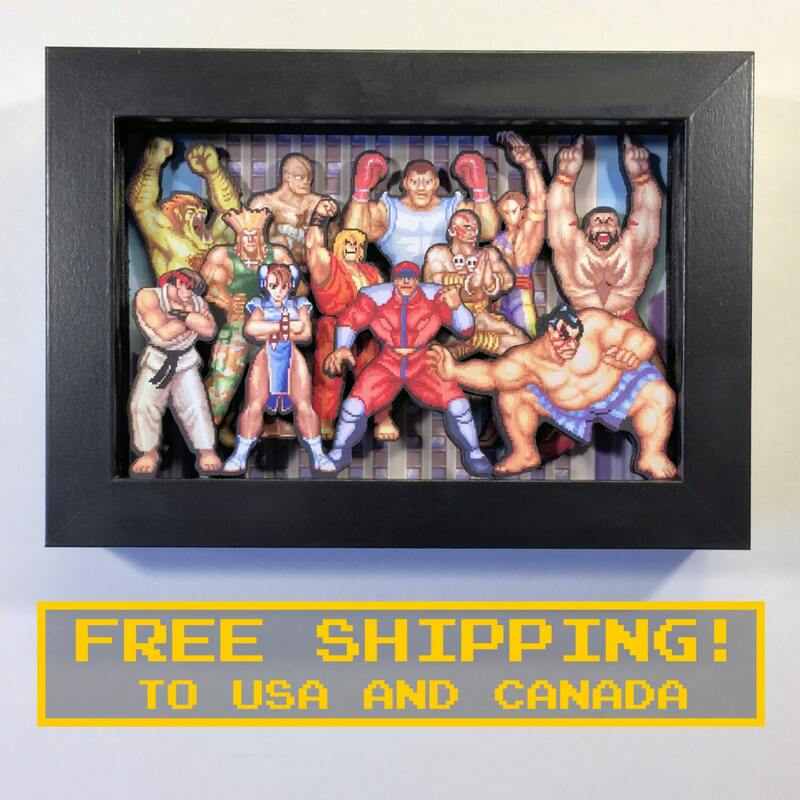 ALL SHIPPING TO USA AND CANADA IS NOW FREE! ALL SHIPMENTS COME WITH A TRACKING NUMBER! Elsewhere: Your art will be shipped from as a "Tracked Packet - International"
Did the frame get destroyed in the mail? We'll cheerfully send you a new one immediately. 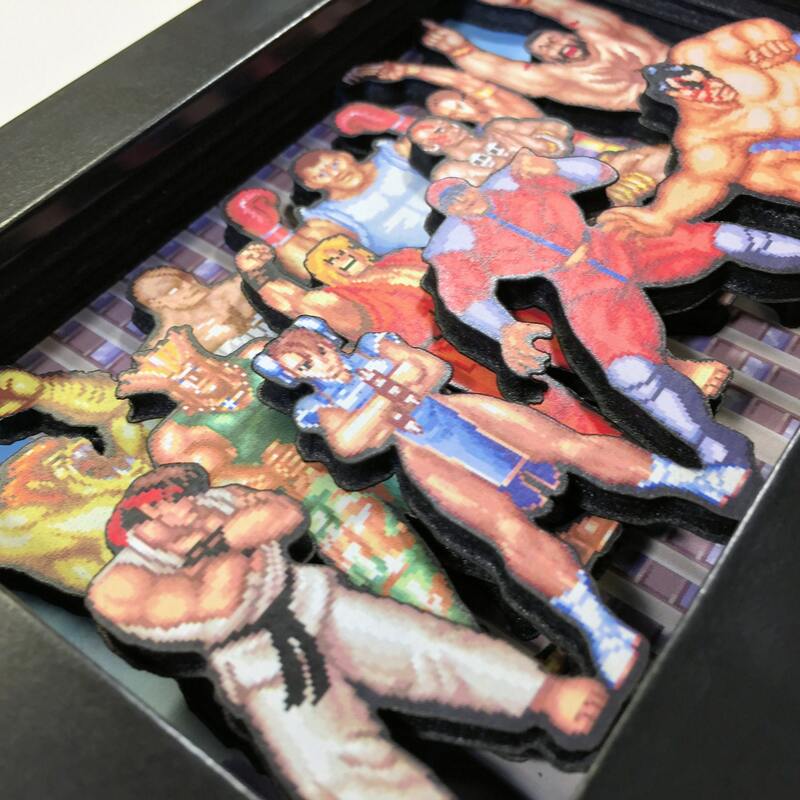 Do you do custom shadowboxes? Due to the large volume of non-custom art we're doing, custom orders are expensive. It generally takes 15-20 hours to design and prototype a new shadow box. The design process is tricky. Unlike most art forms, if you do this wrong, you will literally start fires! Seriously! Lasers are not to be trifled with. Don't be afraid to suggest which one we do next! Ya never know! How do you make this stuff? In short, I use a laser cutter to cut printed foamboard, and then build the layers up. This is done with foamboard rather than cardstock, so the layers won't bend over time. It also gives it a nice layered effect. If you have any other issue, we're friendly and flexible :D Let's have a chat. In fact, let's have a chat even if you don't have a problem. I need it for Christmas 2018! What's the last day to order? 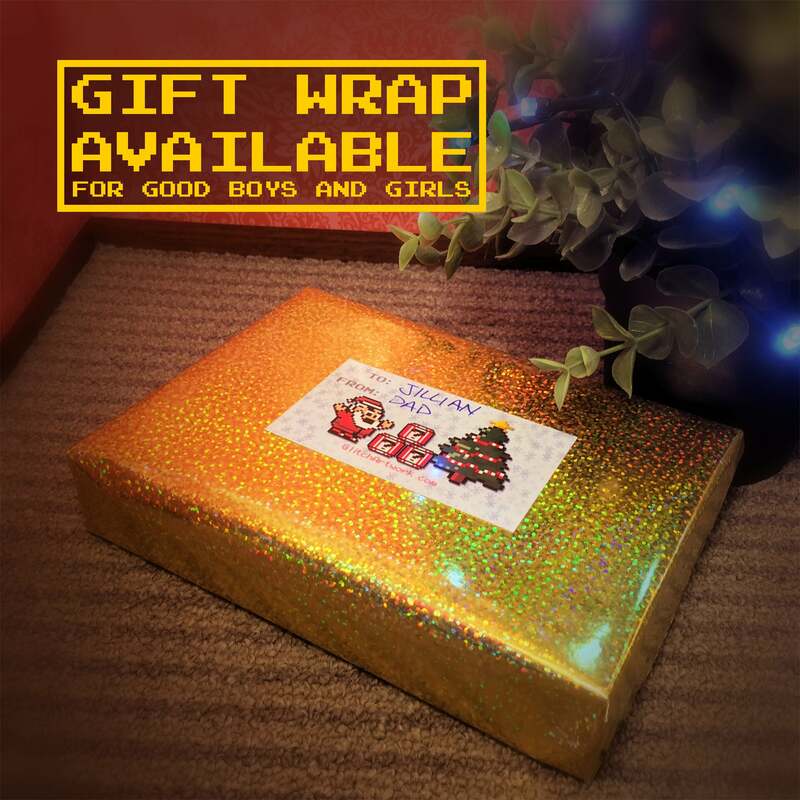 The last day for orders to the USA is Sunday, December 16th, 2018.